Tinnerman/PAL Fasteners | Cal Fasteners, Inc.
Tinnerman and Pal are leaders in many special clip-type fasteners. The name Tinnerman is basically what everyone seems to call these type of fasteners. "Tinnerman nuts" or Pal nuts" which today these two companys have joined together. Both companies have put over 60 years of design and manufacturing together and now have even more of an extesive line of products. Minimums and lead time can be high and long with Tinnerman/Pal, that is one reason why Cal-Fasteners works with other leading manufacturers to supply these same type of products. Whatever you need, we want to help. 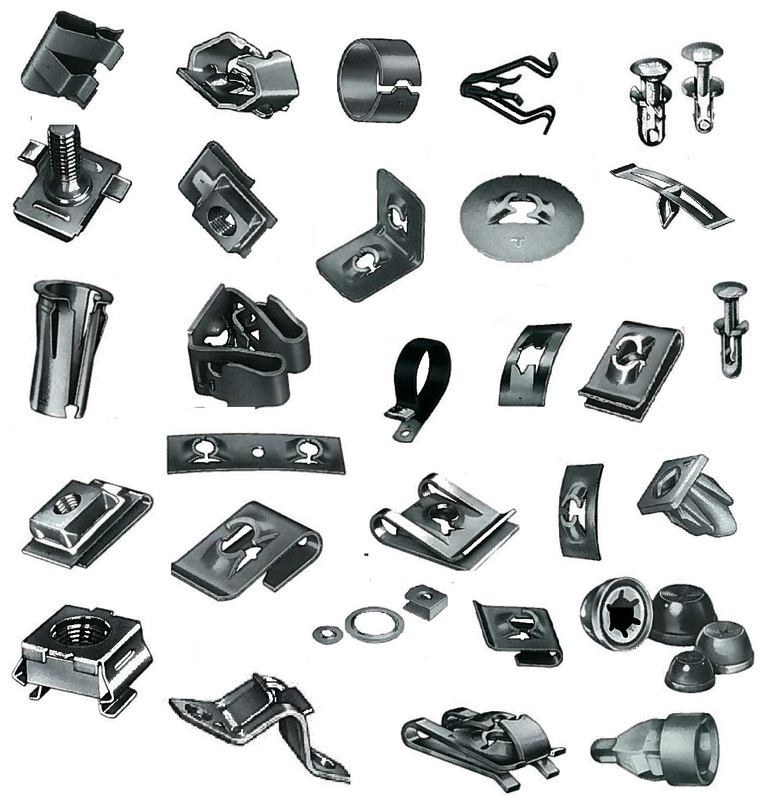 For the Tinnerman or Pal type fastener item you need contact Cal Fasteners for more information or if you are ready to place an order Request a quote today.